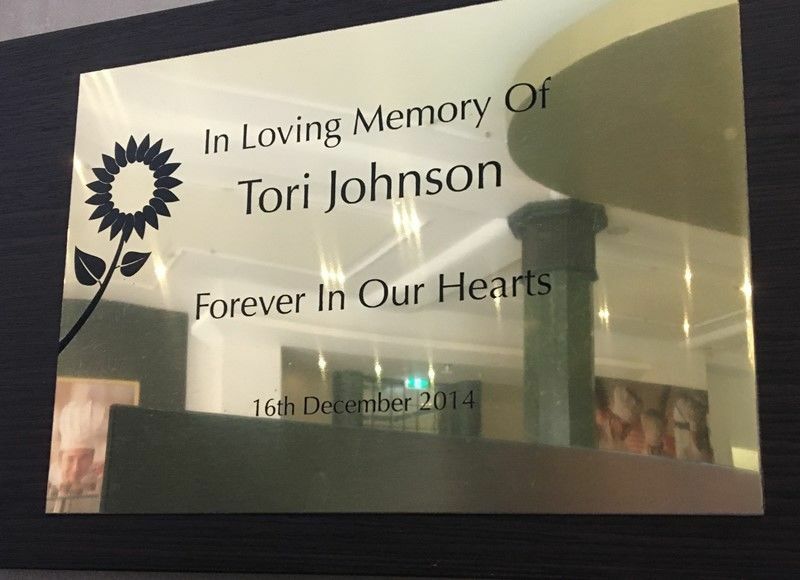 The plaque commemorates Tori Johnson who was a victim of the Lindt Cafe siege in 2014. 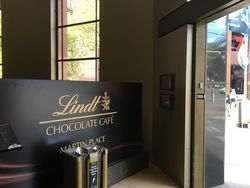 On 15 - 16 December 2014, a lone gunman, Maron Haron Monis, held hostage ten customers and eight employees of a Lindt chocolate café located at Martin Place in Sydney, Australia. After a 16-hour standoff, a gunshot was heard from inside and police officers from the Tactical Operations Unit stormed the café. 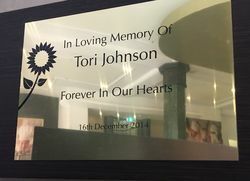 Hostage Tori Johnson was killed by Monis, and another hostage Katrina Dawson was killed by a police bullet ricochet in the subsequent raid. Monis was also killed. Three other hostages and a police officer were injured by police gunfire during the raid.